Defenceman Matt Carle has announced his retirement from the National Hockey League after a dozen seasons. 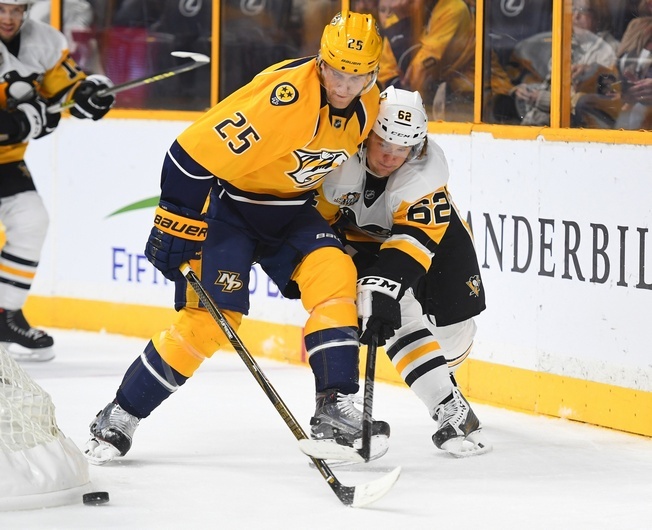 The 32-year-old was six games into the current season with the Nashville Predators and had registered an assist when he called it a career. He played 14:34 in his last game against the Anaheim Ducks on October 26. Carle had mostly been a healthy scratch for the Predators this season and had been seeing a decline in production as of late. He had just nine points with Tampa in 2015-2016 over the course of 64 games. Carle’s best career season came in 2006-2007 with the Sharks. He posted 42 points in 77 games and tallied 11 goals for the first and only time he achieved double-digit goals in his career. In 2010-2011, he put up 40 points with the Flyers but only clocked in one goal. Carle was drafted by the Sharks in the 2003 NHL Entry Draft and he went on to win the Hobey Baker Award in 2006, becoming the only junior defenceman to win it. San Jose wanted him to forgo his senior year with the University of Denver, so they signed him to a three-year deal at the maximum entry level value under the then-current CBA. Carle’s arrival with the Sharks was met with much fanfare and he was named to the NHL’s All-Rookie Team. By November of 2007, he’d signed a four-year extension with San Jose. Alas, injuries and trades kept Carle from really sinking his teeth in and he didn’t really ever live up to his billing after a few solid years. He spent time with upper echelon defencemen like Chris Pronger in Philly, but things hit a breaking point when his contract in Tampa Bay was bought out in June of 2016. He signed with Nashville for $700,000 in July of 2016 and the end was near. Carle was put on waivers by Nashville in November with intentions of terminating his contract and the rest is history.